Doncaster transport bosses want to build a major link road to join the A1 to the A19 - and officials see it as a major aspiration. But there are also concerns that the A1 is the borough's major cause of traffic jams, and is an issue that would cost major sums of money to fix. 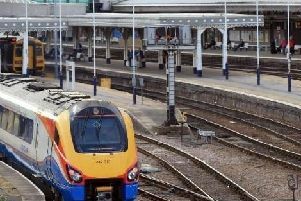 These were among issues emerging from the latest Doncaster Free Press round table event, on the subject of transport, held at Doncaster Sheffield Airport. Where are Doncaster's worst road congestion hot spots and how do we deal with them? Alan Riggall: Great Yorkshire Way has solved a lot in the south. But I think when the A1 collapses, Doncaster centre collapses..The A1 lacks capacity. FJ: Its not just the A1, If you take the M1, the M18, the A1, the M62, the M180, nearly every day there's an incident. AR: But is the A1 that causes the big problems. Our punctuality goes through the floor when the A1 goes. FJ: When ever there's an incident on any of them where do people come? Through Doncaster, and that just compounds things. AR: Exactly. Reliability on the four main corridors is very strong except for when the A1 collapses. When the A1 collapses our whole service goes to pot, all the way to the M62 junction. In Doncaster, since Great Yorkshire Way opened, and even Woodfield Way, you've effectively got a mini ring road round the south and all our south services have been helped. But its a big issue in Bentley. FJ: We have done consultation on a population of 11,500 people. We've had another 1,000 houses built in Bentley. Where are these people going to work.? There's no employment in Askern so they'll travel to Doncaster, Leeds, on a road which is already a nightmare now. Caroline Flint: I think that's a really good point about development. We do need more homes in Doncaster. But I think it's all about place as well. If you've giving planning permission its about the roads, its about the services, and health centres. We all acknowledge there's an issue around the A19. Where does that factor in when planning permission is being given. Neil Firth: It's part of every planning permission that it has to look at the impact on the highways network, if its capable of taking that growth and the first port of call is on the developer and with planning gains it up to them to fix the road, as part of application for residential development. The thing about Askern is it has much greater demand for further residential development Growth has been constrained back. We are desperately keen to provide improved highways access around the north west of Doncaster, particularly around places like Carcroft Adwick and Askern, That's why we have the aspiration for an A1 - A19 link road to unlock development opportunity in that area. We're keen to do that but these projects are expensive and a long time coming. We've got to be able to match up public investment into those big multimillion pound schemes along with private sector committing to development that will happen and contribute to some of those costs. It is certainly one of Doncaster's top five if not top one projects that we wish to develop over the next few years and we certainly have aspiration on that. But we've got to get to the position where the business case for that is sound and will attract inward investment. Definitely we will be looking to hopefully trigger sustainable and managed growth in that area. But there is a constant issue of having that growth, having those new houses, and people not wanting their local communities and amenities impacted on by the growth. It is a really difficult balance to get. We do that through planning, though masterplans consultation with local people, involving the politicians and coming up with a plan that meets that need. "There is mention of hopes for a rail station for Askern. Doncaster is quite well served by rail park and rides, like Conisbrough, and Mexborough, we've got stations at Thorne, Kirk Sandall, Bentley, Adwick. Railways don't have to have priorities put in as trains don't have to stop for roads. We probably need to make better use of that and with our developing transport strategy, It would be great if that was expanded and better utilised. What could be done about the A1 in Doncaster? NF: The A1 is currently within Highways England as one of their major congested routes. That part of the A1 is a 'red' route as far as flow breakdown is concerned. We are certainly looking at the Redhouse - Darrington scheme in RIS 2, that's the road infrastructure strategy, chunks of five year periods where they gain investment from the treasury, to invest in improving the strategic route network. The A1 through Doncaster, the Doncaster bypass, is from the M18 to Redhouse, and it is is one of the most difficult to resolve. You have the motorway going through a cutting through Warmsworth, with residential buildings and a hotel built right up against the motorway, and a deep retaining wall cut in, You've also got the viaduct over the Don, Valley, so there is no easy solution to that. "But certainly, Highways England are looking at developing schemes for that under the RIS two development. AR: They are. I submitted a paper to them about a year ago and they spoke to me about closing a lot of the smaller junctions because they feel a lot of the incidents are caused by slow moving traffic pulling on - some junctions that are not really up to motorway standard. NF: They've shut the lay-bys now. It's acting as a motorway and you've got under-design standard junctions coming onto the motorway. Not long ago there was a central island at the Skellow junction. where you could park on the brow of a hill trying to get over. It was frightening. What it needs is a priority, and a massive investment by the Government through highways England to improve the A1. The solutions are very difficult and very expensive. They've upgraded a lot of the A1 up to Northallerton. Doncaster's issues are as difficult and problematic . But the solutions are for a relatively short piece of motorway improvement, and they will have to sink a lot of cash into it, but it's coming, and it will have a major impact on Doncaster if that's freed up. There may even be the alternative of looking at alternative routes for the A1 rather than do that difficult improvement. How you widen to three lanes through Warmsworth and over the viaduct while keeping the A1 open and not gridlocking the whole of Doncaster and the north south connections is a very difficult job, and I think that's why its been put in the 'difficult' box to solve later. The easy bits have been done now so its very much on the agenda. CF: The challenge with any major scheme, whether it is on rail or road, is that you don't have a blank piece of paper. People live in these areas, and the way that communities have grown make things difficult. NF: I think when you look at the data, Doncaster is relatively free flowing from a congestion point of view. even at peak hours, taking out a few pinch points like you've mentioned. CF: Can I make a plea for someone to look at some of the less obvious causes of congestion. From the Sprotbrough roundabout, when you come in from Bentley to Sprotbrough, there are lot of things being developed there, like the new McDonalds for example, and a KFC. But the route into development means that when cars are going in there they are literally parked out in the road.